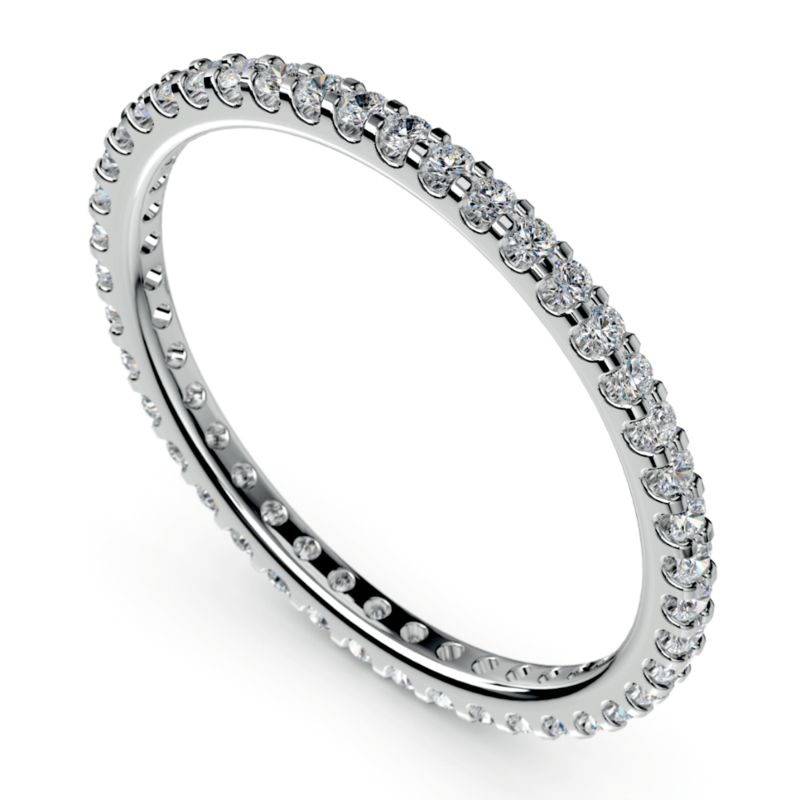 Get More Bling with Diamond Eternity Rings! How do you symbolize the intangible? When you buy an eternity ring, the true value lies in the message that the ring symbolizes: being together forever, until the end of time. Most people give an eternity ring to mark a large milestone in their relationship: like an anniversary or the birth of a child. From Marilyn Monroe and Elizabeth Taylor to Jennifer Garner and Blake Lively, the eternity ring has been a jewelry staple for years and years. Here are some things to know about this romantic jewelry item. One of the main benefits of eternity rings is that they are very easy to wear. Rings that feature large or prominent diamonds that stick out from the band are easy to snag, which can be annoying for a woman who works with her hands. With an eternity ring, the diamonds are small, set close and tight to the band so they won’t catch on any materials of get in the way. Eternity rings are most commonly bought for anniversaries because of what they symbolize and also because they are easy to wear with engagement rings. Definitely buy a ring that matches her engagement or wedding ring in regards to both the diamonds and the metals. You don’t want to buy and eternity ring that is in yellow gold if her engagement ring is made with silver. It just won’t match. Get The Size Right – The main problem with eternity rings is that they are very difficult to resize. Because they have diamonds running all the way around them, changing their size requires taking out diamonds or adding diamonds, which are both very difficult to do and expensive. If you do get the size wrong, you might want to check out some of these helpful tips to make help your ring fit. The Time To Make Them – Most eternity rings are made to order because they are so dependent on a specific ring size, so make sure you know that it may take a month or so to actually receive the ring. Halfway Or All The Way Around? 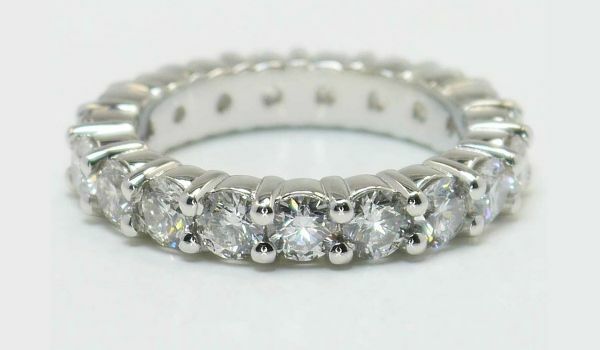 – This is one of the biggest questions when it comes to buying an eternity ring. Some people like the band to only be half covered with diamonds, others want the entire band to be covered by diamonds all the way around. Halfway eternity rings are easier to size. Whether it’s your first year anniversary or your tenth, you will not go wrong in buying an eternity, because nothing says “forever” like and endless circle of diamonds!